Scotty Cunha Celeb Hair, Hair Trends + Rosé Drunk — Chakra Girl Co.
Ok this is seriously the most fun episode of Chakra Girl Radio yet – you’re all in for a treat! We recorded live at Dear Media studio with celeb hairstylist, Scotty Cunha! You get to hear us both get drunk off of Rosé and make you laugh with all of our hilarious material. Plus this is literally just the funniest convo and you’re gonna die laughing! I’m currently in Palm Springs at the AMAZING Parker Hotel, where they upgraded us to a suite, so like no big deal, but I’m feeling pretty fab. For real though, it’s been so nice to just actually be on a real vacation with my hubby and not working, or at least, trying not to. Hope you’re following along on Insta to see all the good stuff we’ve been getting up to in Palm Springs! Fern medicine! Have you guys heard of this stuff? Apparently each different fern has a different intention and healing powers. Listen in to this episode to hear which ones are for divine illumination, divine beauty and more. To keep on this new magic fern train, my chakra shout out is for Pohala Hawaiian Medicinal. 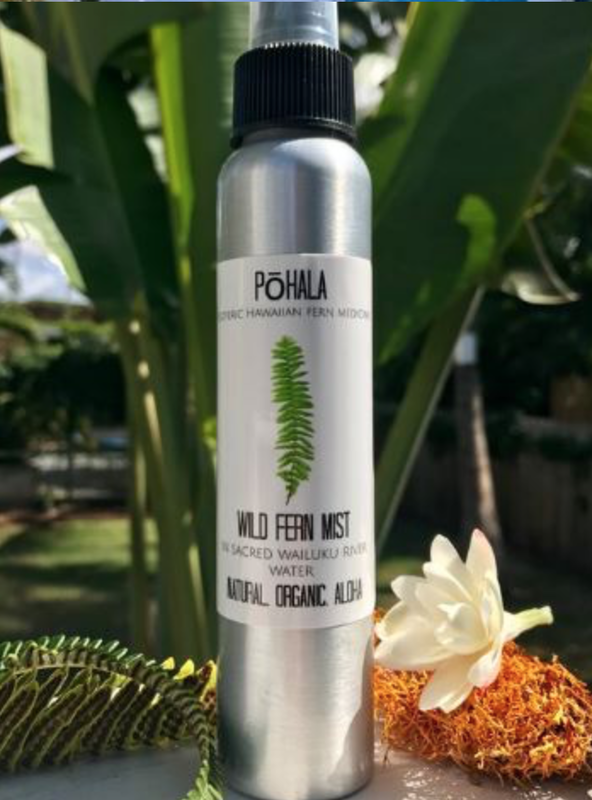 When I was in Hawaii with my mastermind group I bought this Fern spray, which smells like Hawaii, and actually has healing powers! The founder, Ke’Oni Hanalei is the coolest and so knowledgeable and their Instagram is wild! You have to check it out and check out the Wild Fern Mist, which is the one I got and am using all day every day. Here are the links to these magical, game-changing products and resources Scotty and I talked about on this episode! + The Easiest Wedding Registry and so much more: Head to zola.com/chakra to start your free wedding website and use promo code CHAKRA for $50 off!